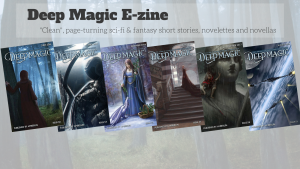 Deep Magic is an online magazine with a focus on page-turning reads without relying on explicit material, otherwise known as “Noblebright” stories. We avoid cheesy, and go for the stories with an emotional core that rings of truth while taking us on an adventure in science fiction and fantasy worlds. 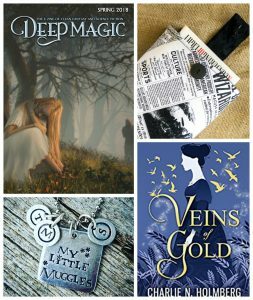 We are happy to be giving away and awesome prize from our friend and author, Caitlyn McFarland. Check out her new online shop full of fantastic items for readers. 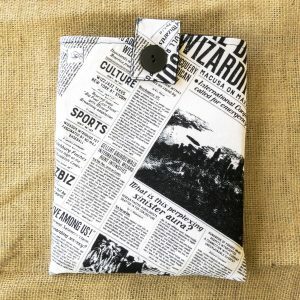 This sleeve has an exterior of 100% cotton, a foam interior, and is lined with a soft minky fabric. A tab closure a button keeps your beloved book secure. The sleeve measures 11” x 9” and fits books 9″ x 6″ and approximately 650 pages. 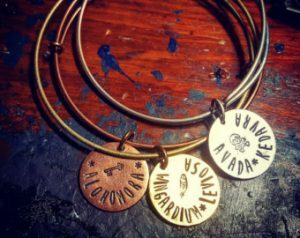 Our friends at Charming Sarabella create meaningful hand-stamped jewelry, including an entire line of Harry Potter items. If jewelry is on your list to purchase for Mother’s Day, check out their online shop! Veins of Gold is written by WSJ bestseller, Charlie N. Holmberg. It’s available in July, but you can pre-order now! 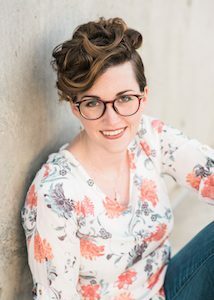 In addition to The Paper Magician series (purchased by Disney), she is the author of many other books including her upcoming novel, Veins of Gold. Charlie is on the board of directors for Deep Magic E-zine.